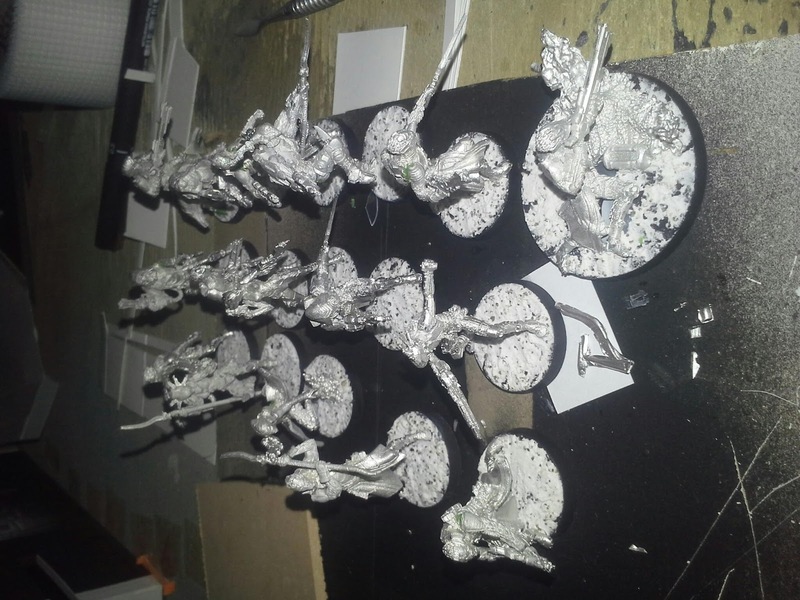 Well the Tohaa finally arrived and i got cracking, first unit painted is the Ectros, although im not sure if il use it much, good excuse to crack on with it and paint the playable figures. 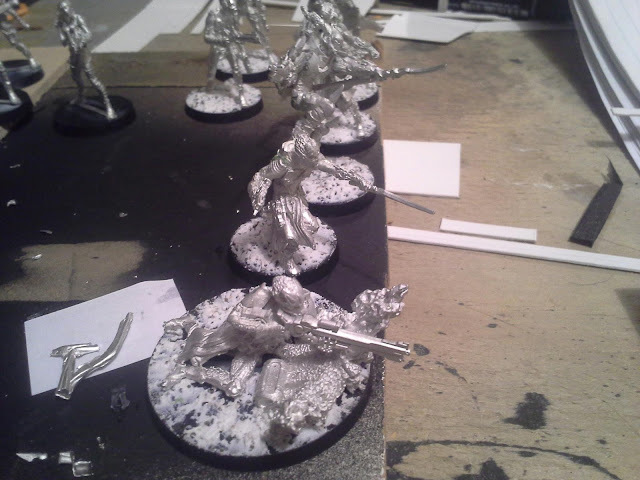 I bought 16 figures, a starter box(6), a makaul box (4), hatail spec ops, kotail w/ spitfire, nikoul Ambush sniper, Neema, Gao rael w/spitfire, clipsos with sniper.... its a fairly good mix and a few of the models il use as different units but with the same weapons. 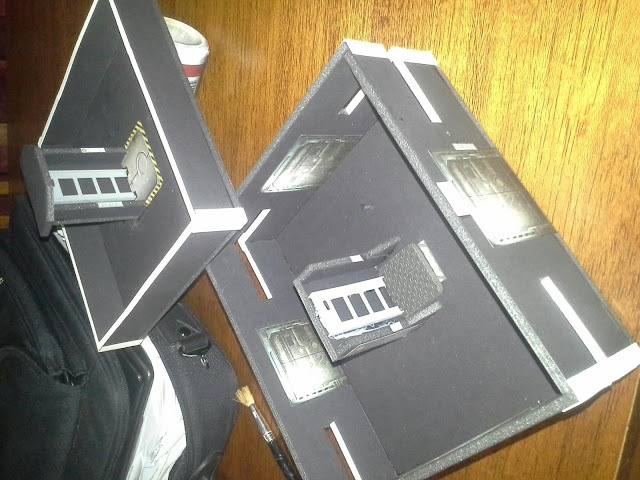 The Armoury was quick and simple to make, just black foamcore board, white card and a few printed doors and such. 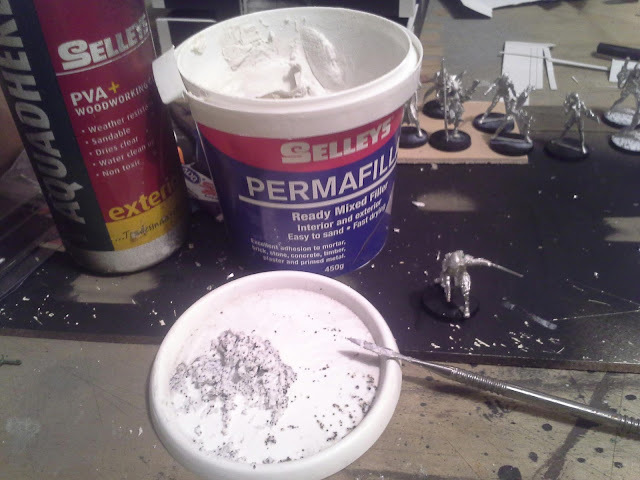 Basing up the tohaa was fun, i tryed my best to get a great detailed basing mix... of permafiller, pva glue and sand... for the first time ever i used greenstuff on my bases (rather than just the figures) and carefully applied my mixture with a scuplting tool... much fancier than my usual slap on pva and drown the figure in a box of sand. 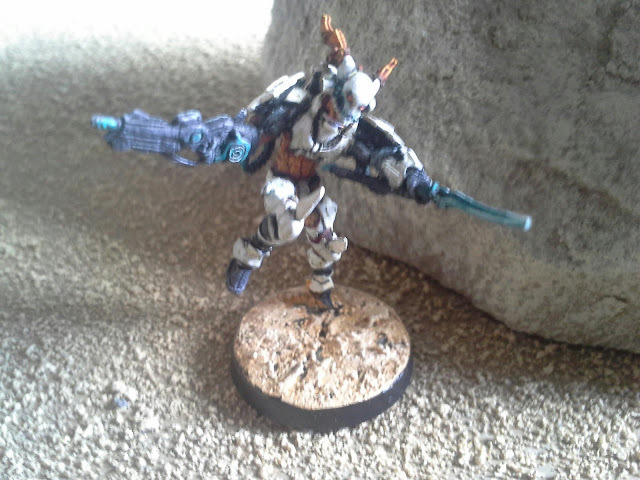 Since theres only a dozenish figures, im attempting to make them look sharper than my other horde armies. Ectros "yo borisss, what did you say about my mamaaa..." pew pew boris writhes in pain as the virus quickly takes over his body..